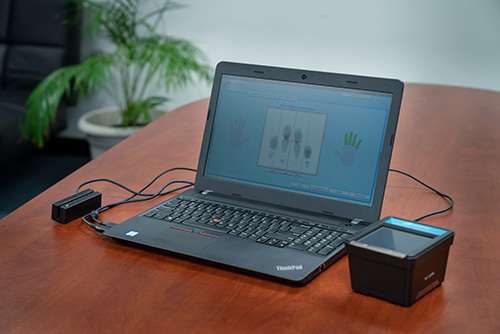 By using the Electronic Fingerprinting system, your fingerprints can be done fast, accurately and with ink free hands! All you need to bring is a Driver's License, Passport, Military ID or a government issued photo ID card. USCI is a private provider that offers Live Scan Electronic Fingerprinting Services for a small fee. 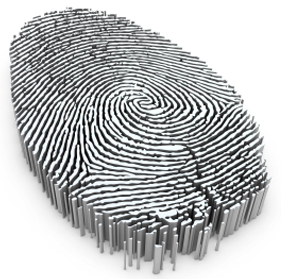 USCI is experienced in collecting fingerprints, personal data and submitting them to the State of Maryland. Our company is certified and has met all requirements by the State of Maryland using state approved equipment. The fingerprints are directly submitted to the Criminal Justice Information System and your background check results are sent directly to you or the employer of your choice. If requesting fingerprints for a government agency please provide an ORI number. Your prints will be sent electronically to the Criminal Justice Information System within minutes! This allows your background check to be completed within several days. If requesting fingerprints for employment or licensing purposes you must have an agency name and authorization number. Your background check results will be sent to you or the requested employer.